"It would be unjust if Ken Adachi's long career were eclipsed by the memory of a series of lurid, final, drastic moments." -- Marilyn Powell, Toronto magazine, 1989. The first authors to describe sympathetically the plight of Japanese Canadians interned in WWII, after their fishboats and belongings were confiscated, were Dorothy Livesay and Hubert Evans. His remarkable but little-known "No More Islands"; was written and published in Young People while the forced relocation of Japanese Canadians was underway. 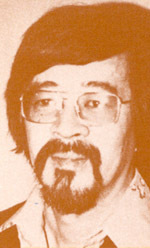 The most important chronicler of the Redress Movement led by his brother, Art Miki, has been the award-winning poet Roy Miki. David Suzuki has written clearly and well about Japanese Canadians in his autobiography. And easily the best-known work about Japanese Canadians in B.C. is Joy Kogawa's novel Obasan. But the flurry of books from Obasan onward was kick-started by Toronto Star books columnist Ken Adachi who wrote the fundamental history of Japanese Canadians from 1877 to 1975, The Enemy that Never Was (1976), commissioned by the National Association of Japanese Canadians. It took him ten years to complete. It was the first book on the subject that opened the way for the reparations movement. Barry Broadfoot published his laudable oral history Years of Sorrow, Years of Shame one year later. Born in B.C. in 1928, Ken Adachi grew up in Vancouver, the youngest of five children, and was interned at age 13 with his family at Slocan in the interior of B.C. His mother died of a heart attack in what Adachi later described as a "jerry-built"; hospital in Slocan in 1945. His father had operated a small hotel and confectionary store in Vancouver. Both were confiscated. His father never overcame the setback and was limited to menial jobs ever after. "We were never to come together as a family unit,"; Adachi wrote, in a 1988 article. Ken Adachi wrote the The Enemy That Never Was (1976), an acclaimed and fundamental history of Japanese Canadians. Born in B.C. in 1928, Adachi grew up in Vancouver, the youngest of five children, and was interned at age 13 with his family at Slocan in the interior of B.C. He mother died of a heart attack in what Adachi later described as a 'jerry-built' hospital in Slocan in 1945. His father had operated a small hotel and confectionary store in Vancouver. Both were confiscated. His father never overcame the setback and was limited to menial jobs ever afterwards. "We were never to come together as a family unit," Ken Adachi wrote, in a 1988 article. Following World War II, at age 20, Adachi began to edit the New Canadian, a newspaper reflecting the concerns of Japanese Canadians. He gained his B.A. and M.A. in English at University of Toronto, where he taught and worked from 1958 to 1971. He also taught at the University of Maryland from 1964 to 1968. He briefly worked for the defunct Toronto Telgram and the Toronto Sun before coming to the Star in 1972 as a copy boy in the sports department. He became book pages editor in 1976. Five years later he became widely respected as the Star's fair and intelligent literary columnist. In 1981 he was quietly dismissed from his post following an accusation of plagiarism. After a brief suspension, he was reinstated as an arts reviewer by a new entertainment page editor, Doug Marshall. 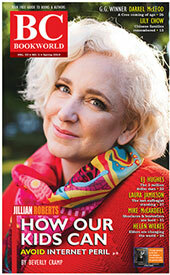 He eventually resumed his job at Canada's largest-circulation newspaper as its literary columnist. Married to outgoing book editor Mary Adachi since 1962, Adachi was an esteemed presence in Canadian letters, winning a 1986 National Newspaper Award for critical writing. In 1989, at age 60, Adachi committed suicide on February 9, 1989, following a second accusation of plagiarism. The rival Globe and Mail printed the plagiarized passage on the same page as the news about his death. Adachi had inexplicably used three paragraphs from a Time magazine book review of 1982. Friends dismissed the notion that his suicide was somehow 'Japanese'. "If you want to know how Canadian Ken was," said theatre critic John Bemrose, "you should have seen him play hockey." It was a second bizarre gaffe in a much-respected and enviable career. "His commitment to literature was total, especially Canadian literature," said Globe & Mail books columnist William French. "Yet he wasn't malicious in his reviews, which is one of the pitfalls of being a critic. His criticism was constructive, particularly when he was reviewing new young writers... His death is a profound loss to Canadian literature and Canadian journalism." The Enemy That Never Was, Ken Adachi's singular contribution to Canadian history, spans the years from 1877 to 1975. It was commissioned by the National Japanese Canadian Citizens Association. It took Adachi at least ten years to complete. "Everybody hopes to write a good book one day," said critic Robert Fulford in 1989. "Ken did. It was the first significant book on its subject and it's still the best." In fact, Adachi's book was not the first influential book on its subject. Barry Broadfoot published Years of Sorrow, Years of Shame in 1977; preceded by Dorothy Livesay's poetry and Hubert Evans' remarkable but little-known No More Islands--written and published while the forced relocation of Japanese Canadians was underway. The Enemy That Never Was was republished in 1991 in the wake of the Redress movement that resulted in a formal apology to Japanese Canadians by the Canadian government. [For other B.C.-related authors who have written about Japanese Canadians, see abcbookworld entries for Adachi, Pat; Awmack, Winifred J.; Ayukawa, Midge; Britton, Dorothy; Chu, Garrick; Enomoto, Randy; Fukawa, Masako; Fukawa, Stanley; Goto, Hiromi; Howes, John F.; Ito, Roy; Kitagawa, Muriel; Kobayashi, Cassandra; Kogawa, Joy; La Violette, F.E. ; Lang, Catherine; Marlatt, Daphne; Matsura, Frank; Miki, Roy; Miyazaki, M.; Morita, A. Katsuyoshi; Moriyama, Raymond; Nakano, Takeo Ujo; Nakayama, Gordon; Oiwa, Keibo; Omatsu, Marka; Ozeki, Ruth; Patton, Janice; Roy, Patricia; Sando, Tom; Shibata, Yuko; Shimizu, Yon; Shiomi, Rick; Sugimoto, Howard Hiroshi; Sunahara, Ann; Suzuki, David; Takata, Toyo; Tanabe, Tak; Tanaka, Tosh; Taylor, Mary; Wakayama, Tamio; Watada, Terry; Webber, Bert; Yesaki, Mitsuo.] @2010.